Hi there! 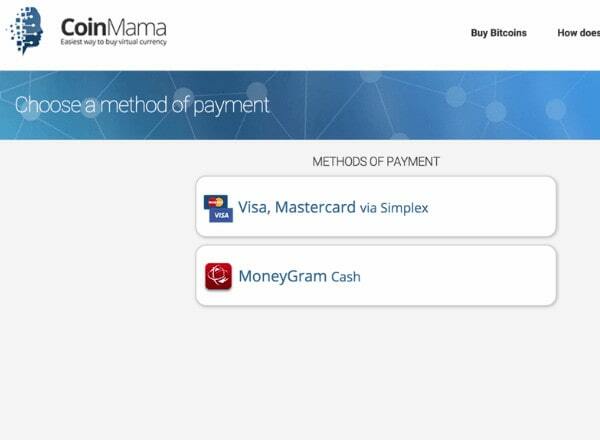 I have taken a look and inquired about Coinmama given that many people regard it as a good and reliable network where you can use a credit card to pay for Ethereum and Bitcoin. However, you have no chance of exchanging your Bitcoin via this platform and it has high charges. Are these disadvantages strong barriers that can stop you from utilizing Coinmama’s services? Go through this detailed review that gives both the benefits and the ugly sides of the website, read the manual on buying a digital coin from the exchange there. 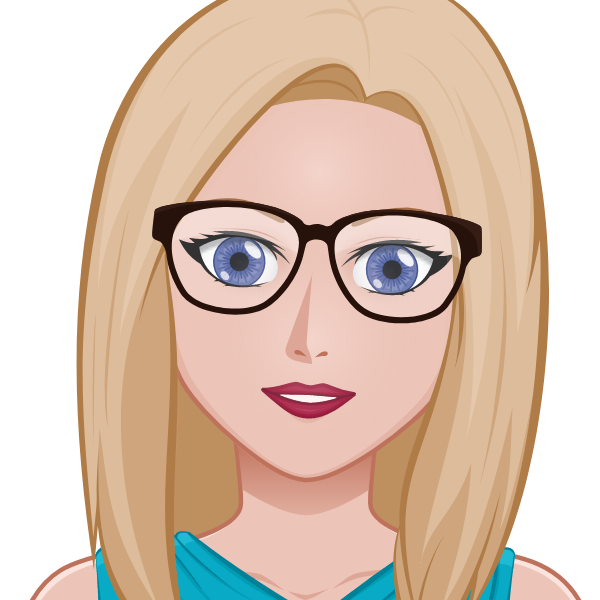 Don’t miss my updates! Coinmama is a global cryptocurrency exchange where you can safely and quickly purchase a digital coin from any part of the world. The company predicates its service on the conviction that money has one future in which people would be able to take charge of their own economy without any middle-men, undisclosed charges and terms and conditions. The company started working for the realization of this belief in 2013 by rolling out the easiest financial service that one can ever get out there, all delivered in a language that you are conversant with. It also provides a strong support service to make it much simpler for its clients. Coinmama is an Israeli company under the ownership of Newbit Ltd. Contrary to the thinking of many people that the business is headquartered in Bratislava, Slovak Republic, Coinmama has its base in Ra’nana. It is its parent company, NBV International s.r.o which belongs to New But Ventures Ltd. that has its head office in Bratislava. 1. Services accessible from many nations. 1. High transaction charges for purchases paid with plastic cards. The exchange offers some currency pairs. Crypto coins’ transaction can be settled via certain payment methods and each attracts some fees. Similarly, Coinmama charges some amount for trades carried out via its platform. Here, you will find details about these features of the website. ETH can also be bought with either USD or EUR. 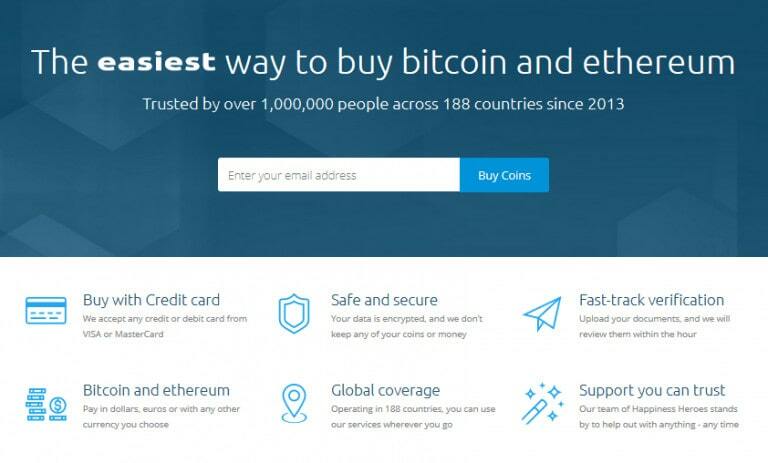 Thus, it offers ETH/USD and ETH/EUR. You can pay for your digital coins’ purchase with fiat money via Western Union, credit and debit cards of Visa and MasterCard brands. Coinmama entered into the digital currency market in 2014 when the possibility of buying BTC with a plastic card is almost zero. 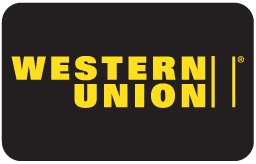 At this initial stage, it allowed its clients to pay for BTC via Western Union which increased its popularity. One of the features of Bitcoin market is that it is not regulated by any central bank. Consequently, each exchange fixes its own rate. Coinmama adds a fee of 5.90% in their Bitcoin rate. If you are paying with credit/debit card, additional charges of 5.00% will be deducted from your account and this belongs to the platform’s payment processor. 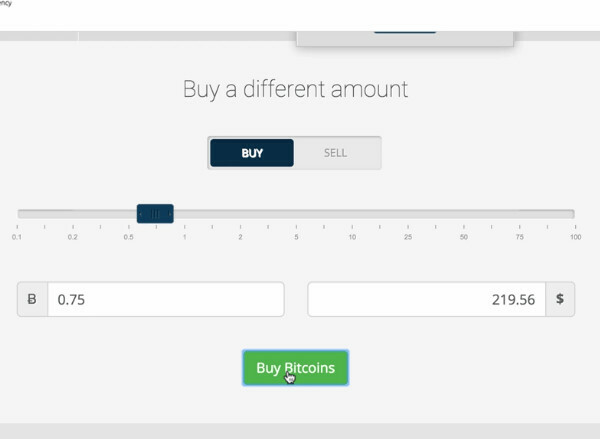 You can easily find out the amount that will be deducted from your account for the amount of Bitcoin that you will want to purchase. First, determine the amount you are willing to spend and divide it by 1.05, the quotient will be the value of BTC that you will get. 500/1.05 = 476.19 USD will be the worth of Bitcoin you will receive. Put differently, multiply the amount you want to spend on Bitcoin by 1.05, the product is the total money you will pay for the transaction. For example, if you want to use a total of 500usd for the exchange, divide it by 1.05 to get how much Bitcoin you will receive. 476.190usd x 1.05 will be approximately 500usd which will be the total amount you will spend).A tabular illustration of purchasing $500 worth of Bitcoin on this exchange. Let’s see how much you are going to spend if you want to use the site to purchase $500 worth of BTC. Note that the price of one Bitcoin at the time of writing this piece is $8,735USD. Using Coinmama for the purchase of Bitcoin or Ethereum can be quite simple. Follow the steps given below to get started. Make a choice of payment method which can be through Western Union or a plastic card of Visa or MasterCard. Paying with the right brand of a debit/credit is quite simple. 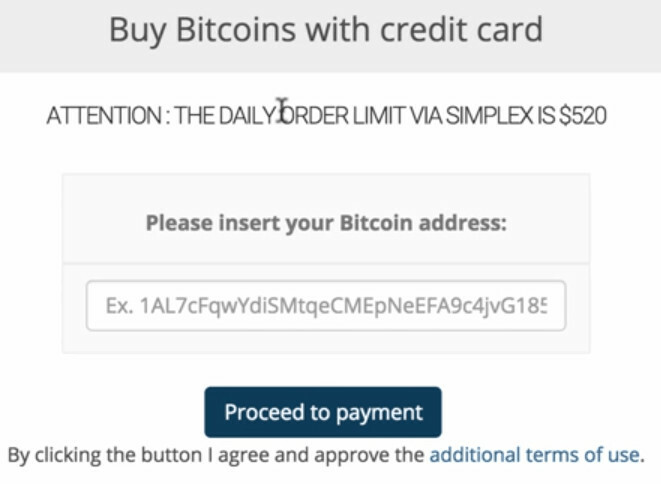 Just follow the instruction and complete the payment form. Complete the payment process and verify your digital coin address which will require you to login to your email and click on the confirmation link sent to your inbox. The amount of coin you purchase will be added to your wallet as soon as your payment is verified by the site. Note that you will be able to keep track of your order status via “My Account” at any time you like. Here, I will take a look at the key users’ accounts features including customer support specifics, security, limits and verification process that starts with logging in to your account and clicking on My Account button from the menu option at the left side click on verify my account. Bear in mind that your daily/monthly spending caps are not affected by your verification status..
Level 1: You will be required to provide a valued government approved ID. Make a note with the word Coinmama boldly written on it. Hold the note on one hand and the ID on the other, then take a phone with the information on the ID and note showing clearly. The required government approved ID are: Driver’s license (the two sides), National ID card (two sides), a non-US international passport (the information page). Level 2: You will also be required to submit another ID which is different from the above-mentioned ones. The last document required in this level is a utility bill which may be credit card/bank statements, property tax, water bills, gas, cable and electricity. Bear in that internet bills and paper bills are not taken. Level 3: For a complete identity verification, Coinmama demands that you complete a short form. Get in touch with the support of exchange via email support@coinmama.com for more details about this level. The maximum amount you can spend per digital coin transaction in the platform is very high if you are paying with credit cards. Clients with a fully verified accounts are able to spend no more than $5,000 in a day but the limit allowed for one month is $20,000. The daily limits start counting from the time a client reaches the max allowed and runs for a complete 24 hours while the monthly limit lasts for 30 days starting from when the limit is reached. Coinmama will soon introduce more currencies but for now, prices are shown only in USD and EUR. Nevertheless, purchases can be made with other currencies which have to be exchanged to USD or Euro. Customers using other currencies may be charged exchange fees. As already mentioned above, your verification level determines the amount of digital coin that you will be able to purchase. It increases according to how much documents you are able to provide for your verification. But bear in mind no matter your verification status, you cannot exceed your daily and monthly limits. Below are the requirements and limits for each level. To be able to buy up to $10,000USD allowed for this level, you should upload a government approved identification card as mentioned above. Customers at this level can spend a maximum of $50,000 on the purchase of digital coin. To get to this level, you have to upload a utility bill, a second government approved ID, a photo of yourself holding the ID and a note with the word Coinmama on it. This is last and utmost verification level in this network which will require customers to complete and submit a short form to Coinmama. Users that are able to do this are eligible to buy $1mUSD worth of digital coin from the site. Coinmama has not encountered any security leak even though it is still a small trading platform in the cryptocurrency industry. The network is gradually and continuously gaining ground and establishing their market share. Nevertheless, they are still trailing the competitors. Only about 600,000 cryptocoin traders transact through the site on monthly basis. But big players like Coinbase and Poloniex play host to 34 million and 44 million customers on monthly basis respectively. Coinmama operates in the United States of America as money service business registered under FINCEN. The business is not very much exposed to cybercriminal attacks because it does not keep digital coins for its customers. Furthermore, the site keeps records of the details of users’ plastic card information even though they mention on their site that they don’t keep their customers’ credit/debit data their website. Customers can obtain support help through several means like detailed FAQs and email. Reviewers have varying experiences about the exchange support response time just as it is the case in the other platforms. However, generally, their support has received numerous positive feedbacks on their response time. They provide answers to most queries within a day. However, delays are experienced more during the weekends and holidays. As mentioned on their platform, they start operation as from 11pm to 7am PT from Sunday to Thursday. 1. In Which Countries Does Coinmama Operate? Coinmama accepts customers from many nations and it’s likely to have the highest coverage than any other digital coin trading network. Membership is not available for people from sanctioned countries. If you are not from a sanctioned country, you will be required to use a Visa or MasterCard issued in your country or any other non-sanctioned countries. For the US traders, the services can be obtained in the following states Wisconsin, Virginia, Texas, Tennessee, South Carolina, Pennsylvania, North Carolina, New Mexico, New Jersey, Nevada, Montana, Missouri, Michigan, Maryland, Massachusetts, Louisiana, Kentucky, Kansas, Indiana, Illinois, Florida, Colorado, California and Arizona. Furthermore, In Coinmama, customers can pay for digital coins with fiat money. 2. Which Languages Are Available on Site? Multiple languages including English and other major European languages like Russian, French, German, Spanish and Italian. 3. What About the Reliability of This Platform? 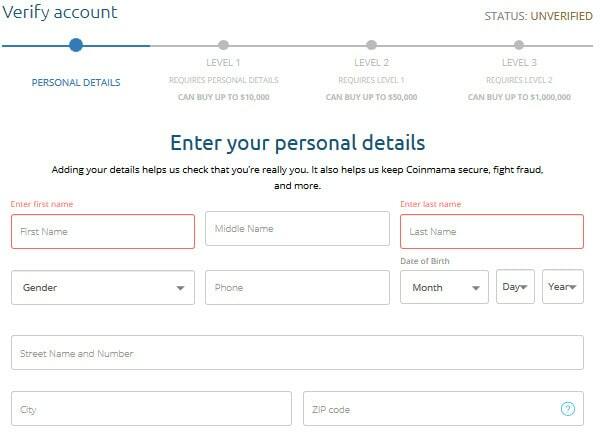 Coinmama operates with a registration number 73980 shown clearly on their website. With GoDaddy certification, the platform is security scanned. It does not save your credit card data on their network. Besides, they make use of HTTPs. Thus, the possibility of your personal details being disclosed or going into a wrong hand is very slim. The same could be said of your account login credentials. 4. What is the Rate Lock on Coinmama? Bitcoin is highly volatile when it comes to price fluctuation. This explains why your orders may be changed by some sellers even when the deal has been registered. But such thing does not happen in Coinmama. The crypto rate is normally locked by the network at the moment the deal is about to be struck. The implication of this is that how much order you placed is what you will be given whether there is increase or drop in price from the time the order is made and when it is put into your wallet. However, the network gives this service at an exorbitant price which is one of the industry’s highest fees. 5. Is There a Minimum Purchase?